Born into rural poverty, Gabrielle Chanel and her siblings are sent to orphanage after their mother’s death. The sisters nurture Gabrielle’s exceptional sewing skills, a talent that will propel the willful young woman into a life far removed from the drudgery of her childhood. 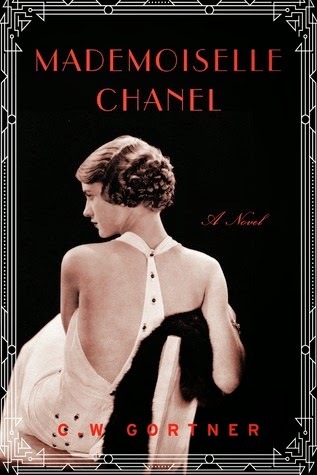 I will admit that I knew very little about Coco Chanel before reading this book. I knew that she was French and worked during the first part of the 20th century. I had a general idea of the "Chanel Style" and was very familiar with the iconic Chanel No. 5, as that is the perfume my mother wears. And that was the extent of my Coco Chanel knowledge. It is somewhat unusual for me to go into a historical novel being somewhat ignorant about the subject matter and, frankly, it is a treat. Usually with historical fiction, I know the parameters in which the story has to operate but, in this case, I really only knew that there were some major (like World Wars I and II) events that would be happening. I hesitate to say that Coco's story is a rags to riches story...it's more of a "raise yourself up by using every single tool at your disposal" story. While there are some "happy coincidences" in Coco's young adulthood, her success is still her own and, at times, comes at her expense. There is not mistake: Coco is a tough, tough woman. Yet, I admired her, even if I felt that some (okay, many) of her choices were questionable. She reminded me of one of those quintessential and glamorous 20th century anti-heroines, usually played on the silver screen by the likes of Bette Davis or Joan Crawford. Gortner creates the France, and especially the Paris, of this time period exquisitely. Sometimes I get the feeling that authors just expect us to know what Paris is like and they get a little lazy in building it for us, but Gortner does not do that. He illustrates every detail beautifully and lets the city evolve as it did through this tumultuous time period. Here is the difficult part of the review for me. What I'm about to say did not actually bother me about this book, but I can see how some readers may have a problem with it. As I said, I knew little about Coco Chanel going into this book. Once I finished, however, I did some admittedly light research (by "light" I mean wikipedia and a few other sites). Gortner was very accurate about his facts. However, judging by what I found online (and, again, it was "light" research), I think he gave Coco's character a very generous dose of the benefit of the doubt when it came to her actions during World War II. I won't go into the details as I don't want to spoil the book, but it sounded to me that the "real" Coco was a little more, how should I say this?, opportunistic during the Nazi occupation of Paris than Gortner's characterization of her. Personally, I don't see anything wrong with this--this is, after all, a novel and, frankly, no one really knows what Coco Chanel was thinking and feeling during that time. Who knows? It could be that Gortner was spot on with Chanel's motivations and just looking at the hard facts might give someone the wrong impression. Still, readers who are more knowledgeable about the subject matter and more concerned with accuracy may have problems with this. Overall, though, this was an exceptionally good read. Even though it is a work of historical fiction, it is definitely more of a "character" novel and that Coco--well, she was quite a character! A former fashion executive, C. W. Gortner is a lifelong admirer of Coco Chanel. His passion for writing led him to give up fashion, and his many historical novels have been bestsellers, published in more than twenty countries. He lives in San Francisco. Find out more about C.W. 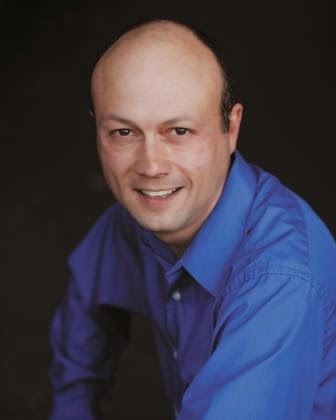 Gortner at his website and connect with him on Facebook and Twitter. Thursday, March 26th: Read. Write. Repeat.